There are a lot of factors that can contribute to a stinky home: pets, kids, food odors, mildew, recirculated stale air – and air freshener companies know this. There is no shortage of new scents on the market and new ways to dispense them: sprays, candles, plug-ins, potpourri, diffusers, etc. The thing is, all of those things simply mask the odor itself. Whatever is causing that odor is more than likely still there. Meanwhile, you’re saturating the air in your home with synthetic chemicals, many of which are unregulated…and could therefore contain a whole host of mysterious and maybe even harmful ingredients, many of which can be irritating to sensitive lungs. In order to make your living environment smell like a fresh spring day (or something like that! ), uncovering the source of the odor is always key. Leaks and high humidity can lead to smelly mildew. Overcooked fish can linger for days. The kids well-worn athletic shoes can stink up a house like nobody’s business. Increasing ventilation, drying out damp spots, frequently emptying garbage, and washing offensive items are all steps towards a better-smelling house. To keep the air in your home optimally clean, continuous use of a high-quality air purifier can keep allergens and dust at bay. 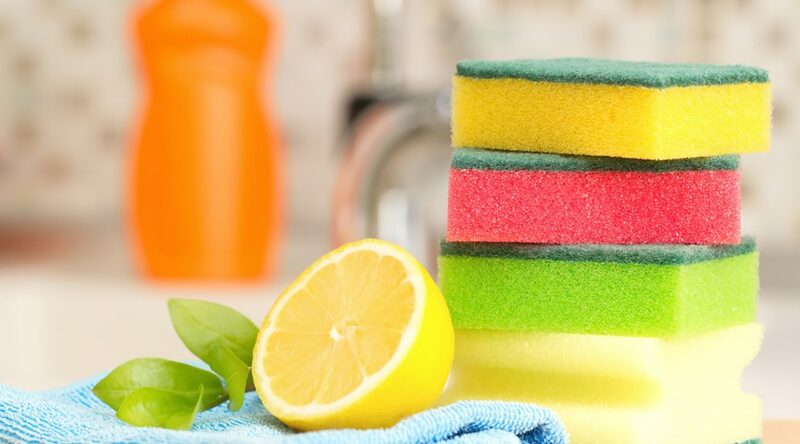 After you’ve identified (and tackled) the odor source, you can start to think about natural, chemical-free ways to making – and keeping – your home smelling good. Ever pass by a perfume counter and see a little dish of coffee beans sitting out? It acts as a way to clear one’s olfactory senses between sniffs of perfume so they don’t all smell the same. The point? Coffee can neutralize an odor. Everyone’s garbage disposal can get a little funky, especially if you forget to run it daily. You can buy scented pellets specially designed to de-stink your disposal, but they’re awfully pricy. Instead, zest an entire lemon into your disposal. Add ice and cold water, turn on disposal, and grind until ice is mostly ground up. Instant freshness! Baking soda is one of those wonderfully cheap, ubiquitous home staples…and for good reason! It does a great job of absorbing bad odors and preventing odors from cropping back up. Mixing dry green tea leaves in with fresh litter can keep your cat’s…ahem, toilet…fresher. It, along with baking soda, can help reduce odor. Where: Everywhere! Kitchens, basements, drains, bathrooms, fridges, microwaves, coffee makers, freezers, laundry, toilets…. Burn dinner and now your kitchen reeks? Mix a cup of water with 1 T of vinegar, and bring to a boil. Apple cider vinegar works wonders for stinky drains. To reduce odors in any general area (kitchens, bathrooms, basements) place white vinegar in a shallow dish and set out. Lingering smoke odors? Soak a hand towel in vinegar, wring it out and walk through your house while holding it; the smell should diminish significantly. We could go on forever about our love of vinegar! If you’ve ever bought an antique dresser, only to be blown away by the musty smell of the drawers once you get it home, a newspaper might be your best bet. Wad up sheets and stuff the drawer; close it and wait a few days (or even weeks), and the odor should be reduced greatly. Nothing evokes a sense of calm and tranquility quite like lavender. You can get decent deals if you buy it dried, in bulk, at health food stores. Divvy it up into homemade fabric or paper sachets, or sprinkle it (if you don’t mind its remnants!) in any places that needs freshening. Not only will musty, stale odors be reduced, the chips themselves also absorb moisture, which makes them great in trunks or storage spaces.